Trump's reported pledge spurs question: The beginning of the end of US marijuana prohibition? Trump’s reported pledge spurs question: The beginning of the end of US marijuana prohibition? According to the Colorado Republican, Trump also pledged the Department of Justice won’t interfere with Colorado’s marijuana laws or businesses, a sign that the administration will take a hands-off approach toward legal MJ companies. “We applaud Sen. Gardner for his continued leadership on behalf of the industry in Colorado and throughout the nation, and we look forward to continuing to work with him on this new exciting legislation,” said Neal Levine, a spokesman for the New Federalism Fund, a coalition of cannabis companies that have been working on industry-specific reform in DC for over a year now. Erik Altieri, the executive director of NORML, also praised Trump’s commitment to Gardner. “It is time for Congress to do its part and swiftly move forward bipartisan legislation that explicitly provides states with the authority and autonomy to set their own marijuana policies absent the fear of federal incursion,” Altieri said in a statement. So is this a signal that marijuana prohibition is basically over? Maybe. “Momentum is clearly building in the states and here in DC. The tide is changing. Now is the time to redouble our efforts,” added Blumenauer, an Oregon lawmaker who has championed cannabis reform for years. Bind the Department of Justice from prosecuting state-legal marijuana companies. Remove cannabis from the list of controlled substances. Provide banking services for marijuana companies, and more. But none have gotten very far, let alone to the White House for any president’s signature. That could actually change in 2018, however, depending on how serious Trump is about supporting a bill to fully protect cannabis companies from prosecution. The reality is that the political winds have been shifting dramatically in recent years, with Republican after Republican coming aboard the cannabis reform train in Washington DC, from Colorado’s Gardner to Utah GOP stalwart Orrin Hatch to congressional newcomers like Florida’s U.S. Rep. Carlos Curbelo. Even former House Speaker John Boehner, a Republican who had previously called himself “unalterably opposed” to marijuana legalization, recently disclosed he’s now on the board of a multistate cannabis company. That’s a natural political shift as more and more states have legalized medical and recreational cannabis in recent years, including political bellwether states like Florida, Ohio and Pennsylvania. 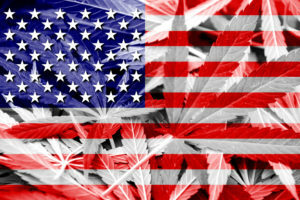 That, in turn, has led to a seriously increased possibility of some type of Congressional fix in federal law that may resolve the legal precariousness for MJ companies. The central question is what that type of fix may entail. It’s still very unclear just what the scope of such a compromise may include. Levine said that it’s “too soon to say” what such a bill may look like. Several sources suggested to Marijuana Business Daily that Gardner may push a bill that would codify in federal law that the DOJ will have zero purview to prosecute any companies that are licensed by their respective states to traffic in marijuana. That would be a stand-alone version of the Rohrabacher-Blumenauer Amendment, but expanded to include recreational marijuana. There are existing bills that would accomplish that, but none have received committee hearings in the House or Senate. Even if such a measure were to be passed by Congress and signed by Trump, that may not completely fix the banking situation or the problematic 280E section of the federal tax code, for instance. And it may not allow for interstate cannabis commerce. It also may still leave marijuana as a Schedule 1 controlled substance, which would keep other legal barriers in place for the industry. Alternatively, perhaps it will be a bill to remove marijuana from the list of controlled substances, which could break open the dam for the U.S. marijuana industry to begin booming the way it has in Canada. Stay tuned: 2018 could prove to be a seminal year for the cannabis industry. I’m sixty two, and in the early seventies bought bricks in Mexico and sold them to dealers in South and North California. That’s when it was a felony to have a roach in your pocket. I think my friends and I did every drug known to man at that juncture. I eventually went into the Marines and hadn’t smoked until a couple of years ago due to pain and insomnia. My point as relating to the article is that I’m a Republican who wanted Rubio but voted for Trump in the end. I am involved in local, state and national politics through various venues, and I always stand for legalized Marijuana from my practical experience, and share that with those with only theoretical experience. (I’m sure it helps that in my career I was in Environmental Science. I can talk the talk and walk the walk.). Just know that all conservatives are not dimwitted died – in – the – wool combative Republicans who believe in, “Reefer Madness”. Sounds great! However, I may be delusional – but Donald Trump has proven himself to be a liar, so quite simply; “don’t tell us, show us”.